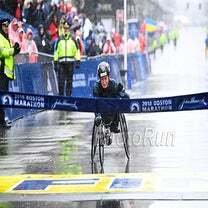 Photos courtesy of New York Road Runners. Kathrine Switzer, Tatyana McFadden and Meb Kelfezighi celebrated Global Running Day with a 1-mile run through Central Park. Those paying attention to New York Road Runners’ Twitter feed this morning have seen photos of runners throughout New York City and around the world breaking tape in celebration of Global Running Day. Some were New Yorkers in business suits or construction uniforms jogging cheerfully with arms raised through blue stretches of NYRR-branded tape; others were pros like Jenny Simpson and Geoffrey Kamworor posing with or breaking tape from afar in Amsterdam and Kenya. Before noon, Kathrine Switzer, Tatyana McFadden and Meb Keflezighi joined in the celebrations, logging 1 mile through Central Park with NYRR President and CEO Michael Capiraso and NYRR President of Events and Race Director for the TCS New York City Marathon Peter Ciaccia. In a nod to the three former NYC Marathon champions (Switzer in 1974; McFadden in 2010, 2013, 2014, 2015 and 2016; Keflezighi in 2009) and NYRR’s 60th anniversary, the group broke the tape at the historic NYC Marathon finish line. 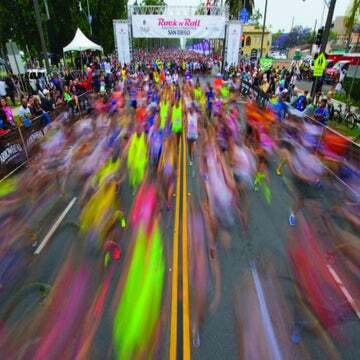 New York Road Runners joins several other brands and event companies celebrating Global Running Day through scheduled events and virtual runs taking place throughout the day. 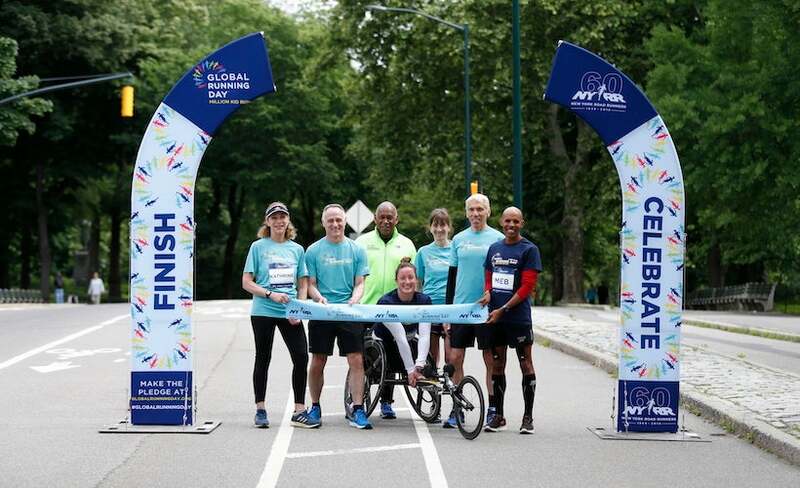 NYRR alone has 60 finish lines set up at select New York City locations and around the world in recognition of the global event and the organization’s own 60th anniversary. For more information, visit NYRR’s Global Running Day page. We Are Searching For International Runners!